Lydia, of Tauranga Girl’s College, struck gold with her big idea during a St John’s Ambulance first aid course, where she learned that plastic food wrap is an effective way to treat burns. But there was a problem: the long plastic food wrap rolls don’t fit in your home first aid kit. I remember thinking how impractical it would be to have a lanky roll of glad wrap on one of our little first aid kits at home. Lydia came up with an innovative solution to her problem: mini glad wrap dispensers designed specially to fit into home kits. Swift Wrap was born. Turns out, she was really onto something. 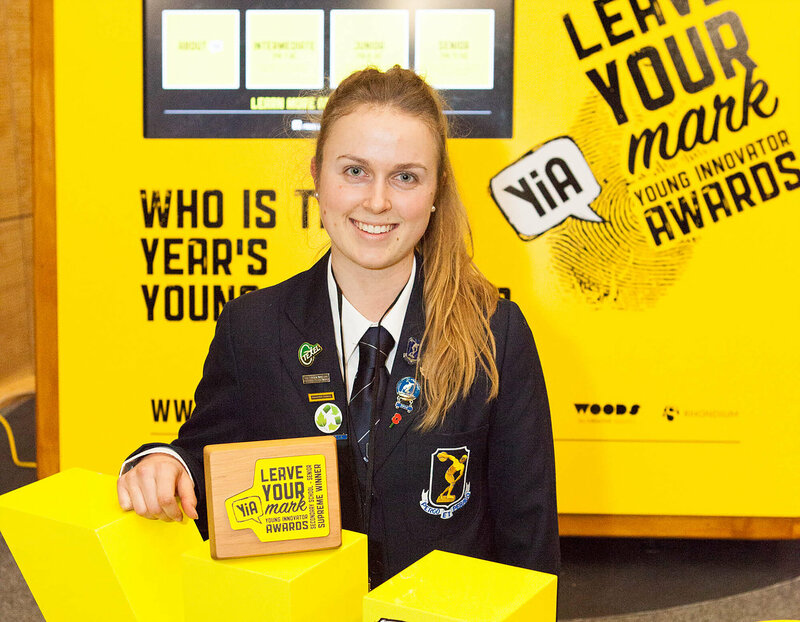 Lydia’s idea saw her walk away with scholarship which combined $2000 of prize money with two weeks of work experience at Bluelab, Beca and Woods – worth a whooping $10,000! Lydia had a blast researching and developing her idea further. She felt like one of the team and everyone around her was just as excited to help her progress her innovation forward. She was stoked at how much she got to see and do in two short weeks – it got her thinking, if two weeks was that much fun, imagine what a career in this field would be like?! Lydia’s is now pursuing engineering at the University of Waikato and is considering a career in innovation in the future. I am so excited to continue to use innovation to help people whilst improving sustainability. I’d love to continue working on Afterburnz and am exploring my options. Have a great idea? Want to give the competition a go? Register now for YiA and start innovating!